A plentiful resource in industry because of its reliable support and stainless properties, steel is one of the most commonly used metals on the planet. However, as a ferrous metal, it is susceptible to corrosion through simultaneous exposure to moisture and oxygen. When the iron in steel oxidizes, it occupies approximately six times the volume of the original material, which can drastically compromise its structure. 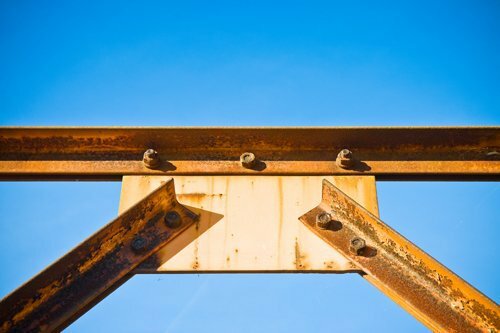 Protecting steel from corrosion is essential for securing its longevity, a task that is standardized through ISO 12944. 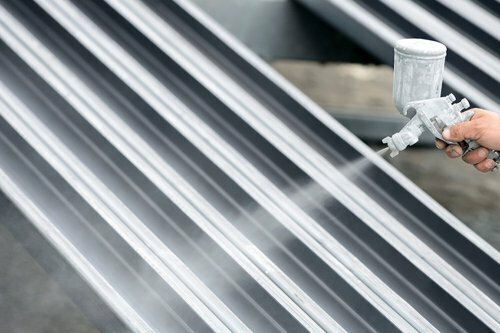 ISO 12944 addresses a protective paint system that can prevent corrosion in carbon or low-alloy structural steel. This coating system delays the corrosion of the metal because it can seal off the surface of the steel from the local microclimate that surrounds it and would otherwise generate rust. ISO 12944 consists of eight parts, each of which either addresses specific considerations or covers a step of the process in-depth. ISO 12944-1:2017 – Paints and varnishes – Corrosion protection of steel structures by protective paint systems – Part 1: General introduction does not define a specific procedure, instead it gives the background needed to make use of the collective documents. It establishes the scope of the standard, specifying that it be used only for corrosion prevention, and not for related surface protection against other forces such as microorganisms, chemicals, mechanical action, and fires. 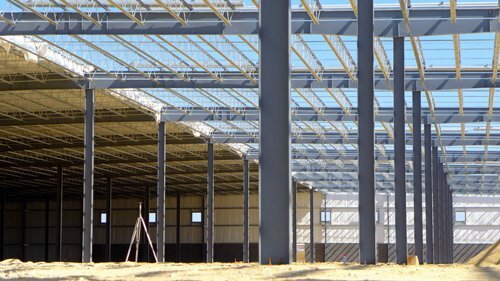 Building off this, ISO 12944-2:2017 – Paints and varnishes – Corrosion protection of steel structures by protective paint systems – Part 2: Classification of environments classifies the principle environments to which structural steel can be exposed. This defines atmospheric-corrosivity categories based on mass loss, describes environmental categories for structures immersed in water or buried in soil, and gives information on some special corrosion stresses. As the initial phase in the protective paint procedure, ISO 12944-3:2017 – Paints and varnishes – Corrosion protection of steel structures by protective paint systems – Part 3: Design considerations calls for the steel structures to be designed in a manner that not only assures for their general support but also makes it easier to facilitate the preparation, application, and maintenance of protective paint. Since certain structural shapes are more susceptible to corrosion, it is recommended that the designer contact a corrosion expert very early in the process so that the structure does not corrode prior to application. ISO 12944-4:2017 – Paints and varnishes – Corrosion protection of steel structures by protective paint systems – Part 4: Types of surface and surface preparation defines a number of steel structure surface types and gives guidelines addressing their preparation for the application of the paint. The primary objective of these guidelines is to guarantee that the surface is free of any deleterious matter that could limit the adhesion of the primer to the steel. ISO 12944-5:2018 – Paints and varnishes – Corrosion protection of steel structures by protective paint systems – Part 5: Protective paint systems focuses on the other primary component of a protected structure: the paint system itself. This part describes the different types of paints and coating materials and gives guidance for their selection based off the classification of environments and surfaces as established by the prior parts of the collective standard. The last section assisting in the selection of paint system is ISO 12944-6:2018 – Paints and varnishes – Corrosion protection of steel structures by protective paint systems – Part 6: Laboratory performance test methods. This document addresses laboratory-testing procedures used to determine the success of a particular protective paint system. One of the methods discussed to aid in the selection of a paint system is artificial ageing, which is meant to estimate the reliability of the anti-corrosion application over time. ISO 12944-7:2017 – Paints and varnishes – Corrosion protection of steel structures by protective paint systems – Part 7: Execution and supervision of paint work deals with the actual application of the protective paint system to the steel structure, and gives guidelines on its execution, in addition to the management of the paint and the workers. It is recommended that the steel substrate be prepared for the application of the paint system by following guidelines addressed in the previous six parts of the standard. And lastly, ISO 12944-8:2017 – Paints and varnishes – Corrosion protection of steel structures by protective paint systems – Part 8: Development of specifications for new work and maintenance provides the means by which the protected steel can be maintained throughout its service life. All parts of ISO 12944 are available on the ANSI Webstore.